We recognize that you have many choices when it comes to selecting which online store to purchase your garage door springs, openers, parts and accessories. 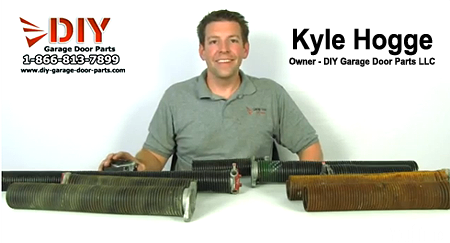 Take just a few moments to discover why we believe DIY Garage Door Parts is your best choice. It is our firm conviction that you deserve exceptional service, fair and competitive pricing, superior customer service, and the highest level of care on getting your garage door parts shipped out fast. Our Mission: Because you don’t need hidden charges, a confusing check out process, and/or smoke and mirrors when it comes to purchasing parts to repair your garage door or opener. We want this to be a simple, pleasurable, and an educational shopping experience. From the moment you contact us it is our pleasure to treat you with professional excellence and integrity. Further, it is our personal belief and conviction that being successful in carrying out this mission will provide us with the opportunity to give back. With strategic forethought DIY-Garage-Door-Parts gives a portion of every dollar we earn to a host of community programs and missions that impact the many parts of the world. Our Ethics: Your order and satisfaction is our priority at DIY Garage Door Parts. We are not some large, impersonal or insensitive corporation—we provide professional garage door service to our local area. We also are a family owned American business and are here to help you get the correct parts for your garage door and to get it to you as fast as possible. When we go home at night, we intend to rest with a clear conscious. Treating you “right” and getting the order completed “right” is at the core of our values. Thank you for honoring us with your trust and giving us the opportunity to serve you. The world we all share can be dog-eat-dog. Thus, we are committed to being a blessing to you and intend to be around to serve you for many years to come. Hi, just wanted to send a note of appreciation for your business and services. One of my torsion springs broke and needed to be replaced. I consider myself pretty handy but know my limitations. Your site gave me the confidence to tackle this project as well as the knowledge to determine what springs I needed. The “how to” videos were simple and easy to follow. DIY-GARAGE-DOOR-PARTS.COM is and was for me a great one stop shop for everything I needed. I got 2 springs and the torsion bars for the job for $81. I highly recommend this business and if I ever need to handle repairs for my garage door again, your site will be my first stop. PS: Quote I was given to replace both springs (which I did) was $110 more than I spent with DIY GARAGE DOOR PARTS.